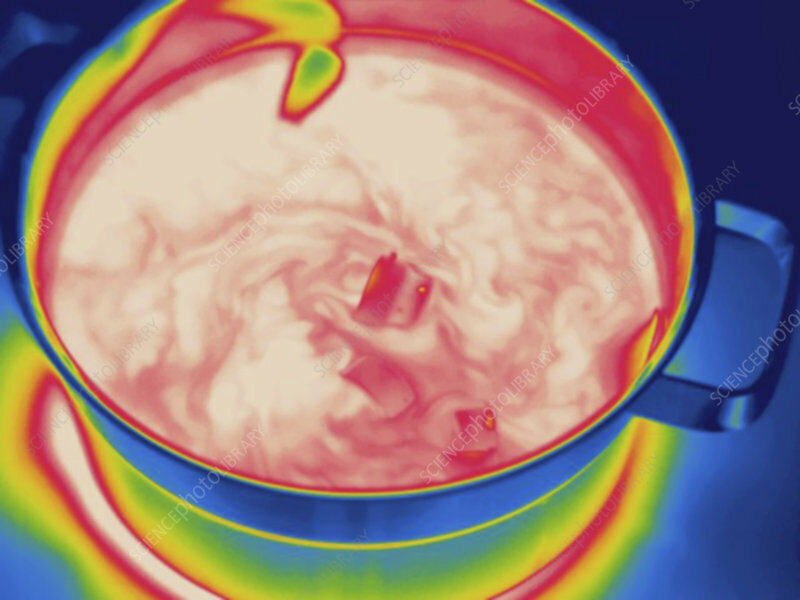 Thermogram - Pot of water on stove - Sterilizing breast pump parts. The colors show temperature variation. The temperature scale runs from white (warmest) through red, yellow, green and cyan, blue and black (coldest).